Vegetable sheep are compact daisy shrubs that form thick hummocks up to a metre in diameter. The hummock consists of closely packed shoots and leaves. From a distance some of them resemble the shape and colour of sheep, as their leaves are covered in woolly hairs. 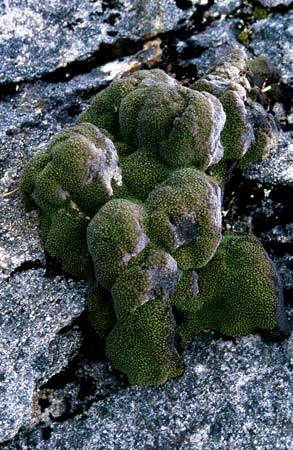 The bright green Stewart Island vegetable sheep (Raoulia goyenii) is less likely to be mistaken for the animal.